In 1941 the U.S. War Department approached the Firestone Tire and Rubber Company with the request to improve the design and mass produce the European 40mm Anti-Aircraft Bofors Gun. 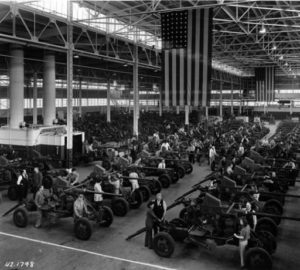 With typical Firestone enthusiasm the company accepted the challenge and produced more than 20,000 of these Bofors Gun mount & carriages that played a significant roll in the Allied Victory of WWII. In 2016 Firestone Farms located one of these now rare artillery pieces. 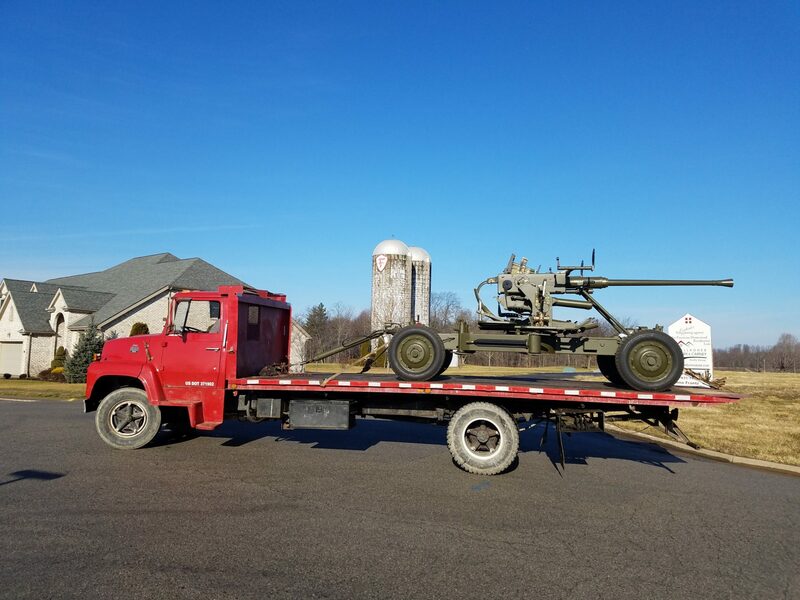 After a six month restoration project the gun was shipped to Columbiana, Ohio and will be displayed in a future exhibit at Firestone Farms with other Firestone products manufactured for the WWII War Effort.